We continue celebrating the sonic zeitgeist of classic recording studios with the second edition of Studio Sampled Sounds—our new series of sample packs that give you the sounds of iconic studios where remarkable and timeless music emerged. Our series began with the drum sounds of Motown Records inside of Detroit's Hitsville, USA studio. 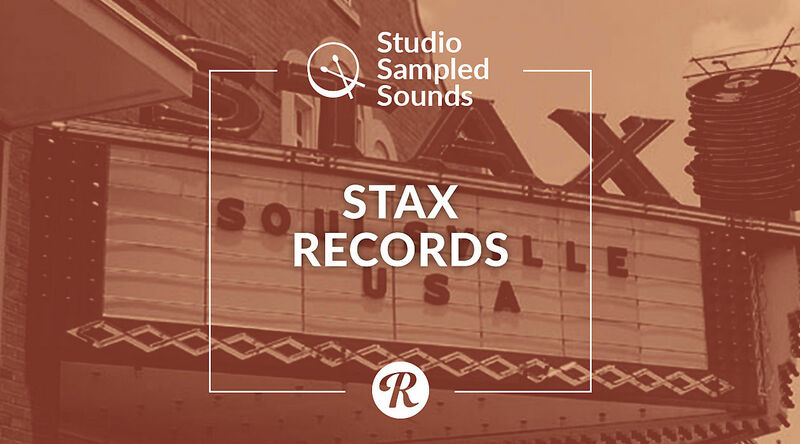 Today, we're bringing you more memorable and distinct drum sounds, this time from Stax Records in Memphis, Tennessee. We've compiled one-hits and loops that emulate the tracking spaces, drum kits, recording practices, and mixing techniques that made the Stax sound famous around the world. For this second edition of Studio Sampled Sounds series, we are taking a trip down to the magical music mecca of Memphis, Tennessee. Later associated with the Atlantic group of soul labels, Stax Records was founded in 1957 by siblings Jim Stewart and Estelle Axton. While originally called Satellite, Stewart and Axton took the first two letters of each of their last names to rename the label in 1961. After leaving their distribution deal with Atlantic in 1968, Al Bell joined the label as a co-owner until the forced closure of the business in 1975. 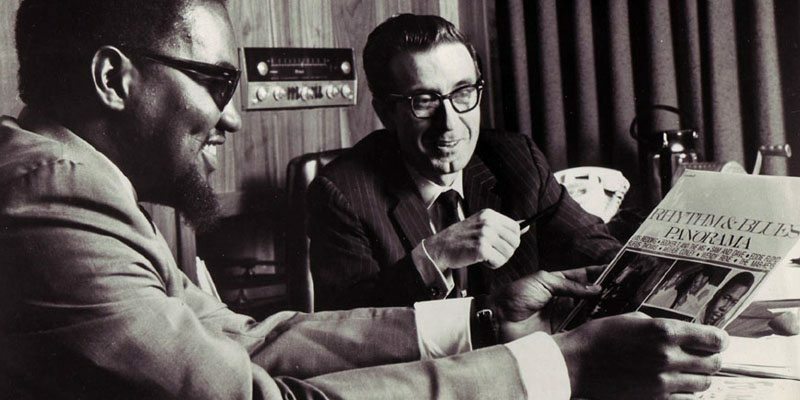 Stax records were built on gritty, funky grooves and a raw drum sound that helped to develop the label's own brand of soul music. Presiding over two distinct eras of influence in the 19 years they were in operation, Stax Records and its sister label, Volt, launched the careers of Otis Redding, Sam & Dave, Johnnie Taylor, Albert King, Rufus and Carla Thomas, and Booker T & the MG's, which also served as the resident rhythm section on the majority of their catalog, creating a consistent, much-sought-after sound. Second only to Motown in sales, Stax Records was an influential force in American soul music, snagging the esteemed label 167 Billboard Top 100 hits on the pop charts, and 243 Top 100 R&B chart hits. While Atlantic still holds most of the rights to the 1959–1968 Stax Records era, Concord Records revived the brand by releasing new records from contemporary R&B artists such as Ben Harper, Angie Stone, Jill Scott, and many others, while acquiring the Stax Records rights for all its post-1968 recordings. Transforming America's concept of a rhythm section up until his untimely death in 1975, Al Jackson Jr. was the central figurehead of this Stax Records sound. A founding member of the resident ensemble, Booker T & the MG's, Jackson's contributions to the Stax Records sound is immense. A drummer with an inventive sense of ensemble playing dynamics, his first gig was for his jazz bassist father, when Junior was just five years old. Following his father's band around for years, he learned to read charts by the age of 12. After trumpeter Willie Mitchell formed his own band in mid-'50s and signed to Hi Records on 1959, Al Jackson Jr. would become a featured musician in their catalog for years. By 1962, he had formed Booker T & the MG's, who soon became a driving force in the development of the Southern soul and Memphis soul sound. In addition to his contributions to the catalogs of Stax, Volt, and Hi Records, Jackson would go on to do session work for artists such as Eric Clapton, Donny Hathaway, Freddie King, and Herbie Mann, before he was murdered in 1975 by burglars. The drum sound Al Jackson Jr. pioneered was a very simple yet highly effective combination of decisive performance, powered mainly through Ludwig drums and, sometimes, Rogers kits, with just a few mics set up to capture the groove. He preferred his kit tuned very low and deadened. Engineer Terry Manning has explained, "We almost always put the drummer's wallet on the snare drum. It would 'jump up' when the drum was struck, providing a little 'sound,' and then fall right back down (gravity, I think), deadening it again so that the ring was not very long at all." Though state-of-the-art at that time, only a grand total of eight tracks were available for most of these recordings, making mic choice and placement huge contributing factors to this sound. The small drum booth built around Al Jackson's kit provided very little room sound. For that deep snare drum punch, a Neumann KM-84 five- to eight-inches away was pointed directly at the snare. An Electro-Voice RE20, RE15, or a Shure 545 (precursor to the SM57) were used on the kick drum. Never direct mic'ing the hi-hats, this spot mic setup was supported by the room mic combination of either one or a pair of Neumann U 87s/U 67s, sometimes being substituted with RCA 77s or Neumann KM54s. 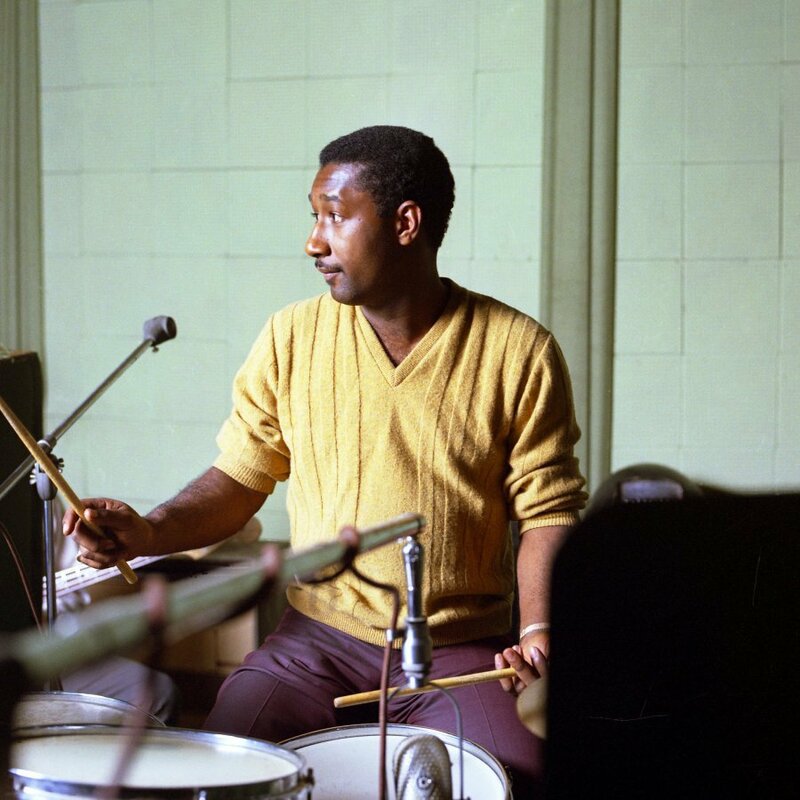 The kick drum and snare were tracked together on one track with the rest of the kit on another, with most Stax records being tracked on a Scully tape machine after passing through the onboard preamps in their Flickinger and Spectrasonics consoles. Using this history as our guide, we've recreated Stax's iconic sound in this collection, featuring grooves from Booker T. and the MG's "Green Onions," Sam & Dave's "Hold On, I'm Comin'," and Otis Redding's "The Dock of the Bay." Get the Studio Sample Sounds sample pack and listen to our audio demo of just some of the drum sounds available below. And be on the lookout for the next installments, featuring the sounds of Muscle Shoals/FAME Studios, Olympics Studios, Chess Records, and more.